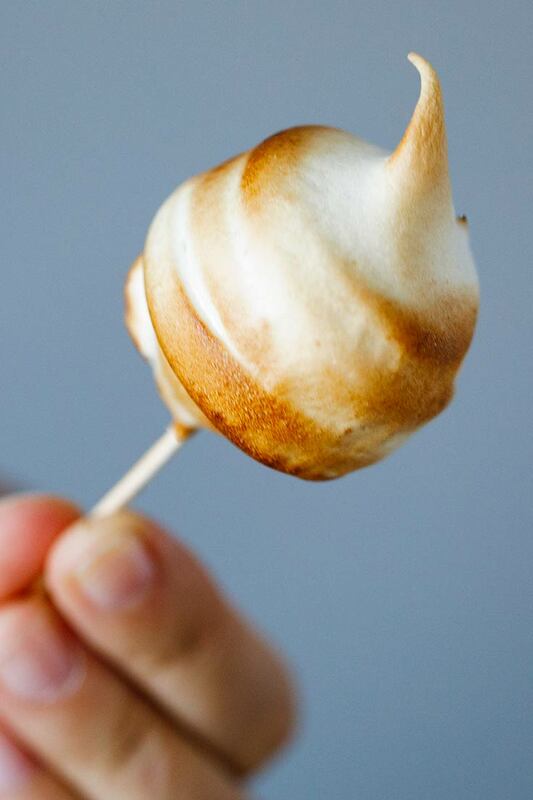 These Inside Out S’mores are such a fun take on the traditional s’mores and really highlight the marshmallow, perfect for National Toasted Marshmallow Day! They'll bring you straight back to sitting around the campfire with friends and family. 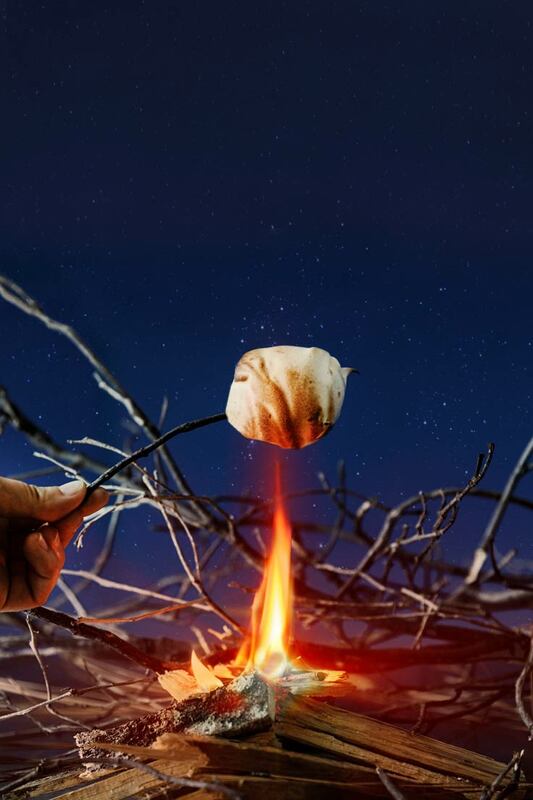 Makes 20-24 s'mores. 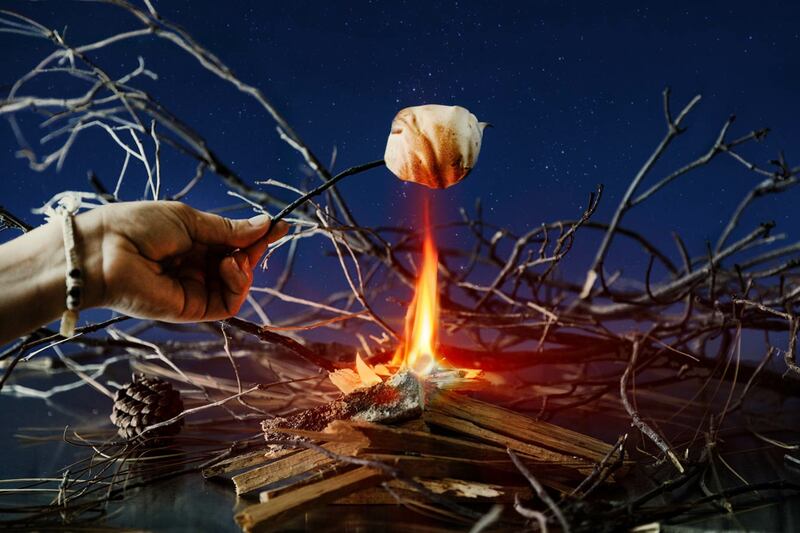 Our Inside Out S'mores begin with a creamy filling staring Graham Cracker Cookie Spread. 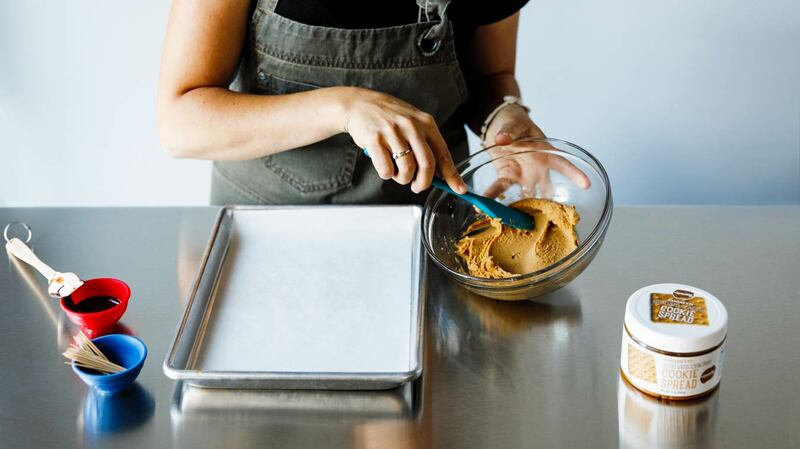 Mix room temperature cream cheese and Graham Cracker Cookie Spread until smooth. 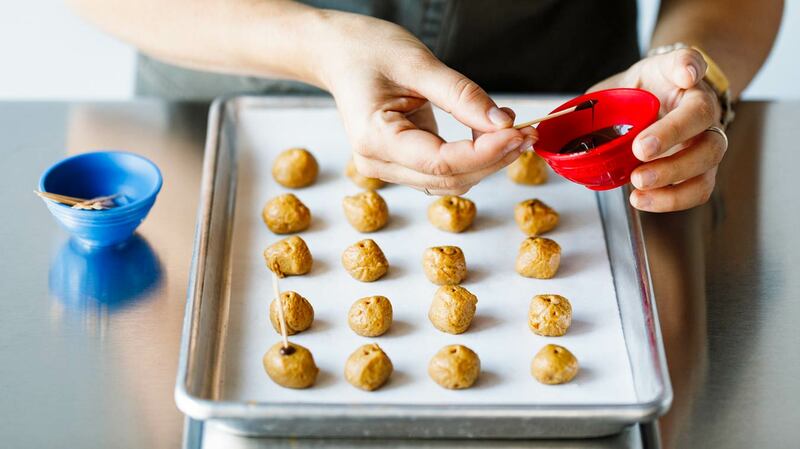 Roll into teaspoon-sized balls and set on a parchment-lined pan. 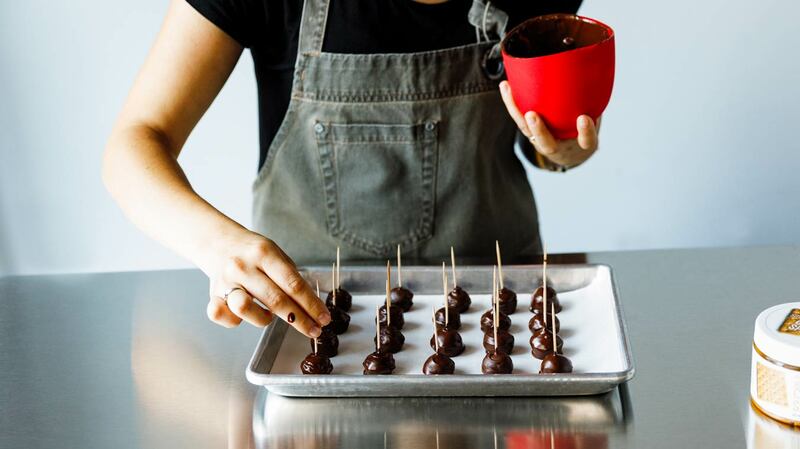 Dip toothpicks in a small amount of melted chocolate and poke in each ball. The chocolate acts like glue, once chilled those guys aren't going anywhere. After a quick chill to set our chocolate glue, dip centers in tempered chocolate. Keep going until you've got them all dipped. 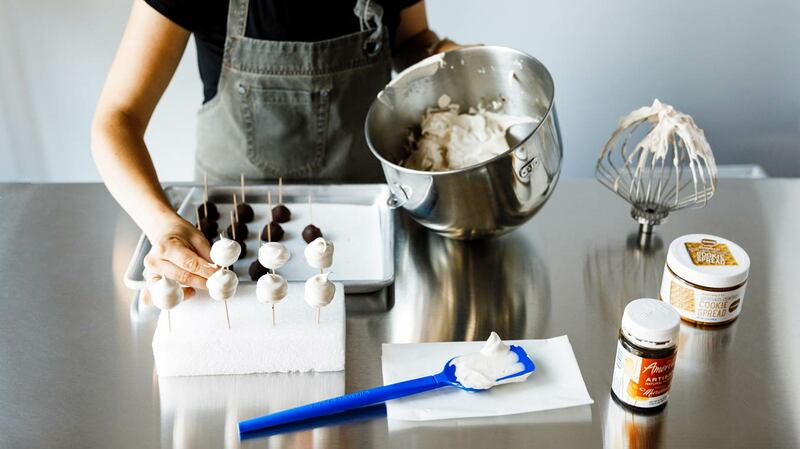 Stash these guys in the freezer while we make our Toasted Marshmallow Meringue. Pretty simple, egg whites and sugar are cooked over a double boiler before being whipped into shape. 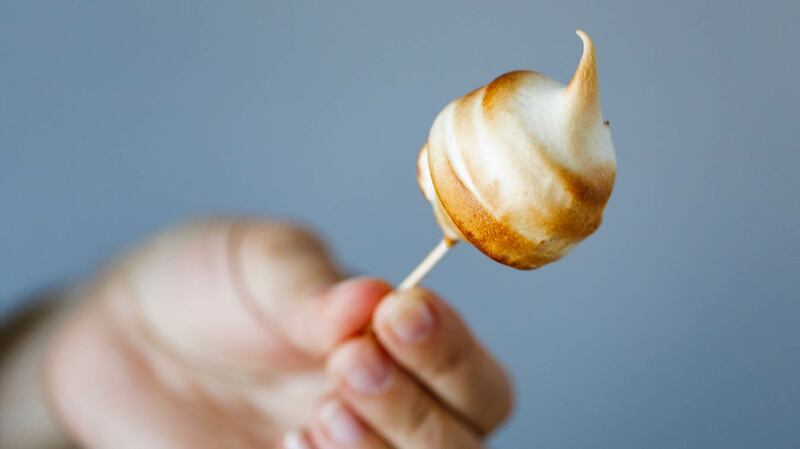 Toasted Marshmallow Artisan is the finishing touch. See that lovely fluffy meringue? We're going to do a little dip and twirl with the frozen centers for a pretty swirl finish. Set the meringued centers in a block of styrofoam so they stay fluffy. Then break out the blow torch! 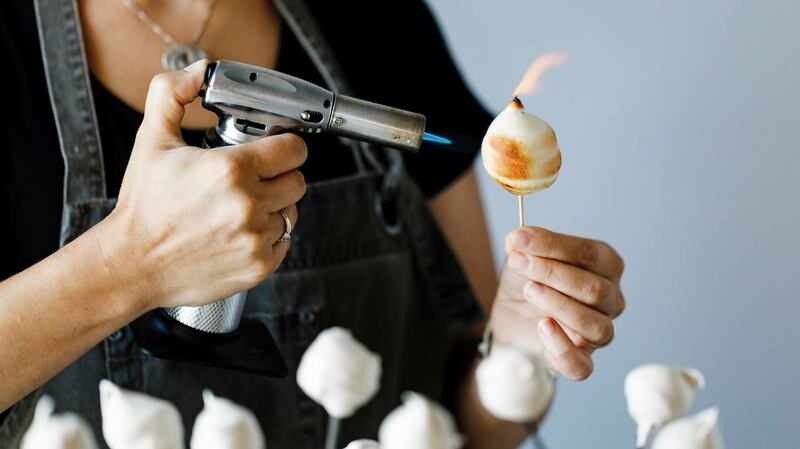 (Ok, so this step is totally unnecessary since our meringue already tastes like a toasted marshmallow thanks to our Artisan but, this will make them look like toasted marshmallows too! Any excuse to break out the torch, right?) Aren't they cute! 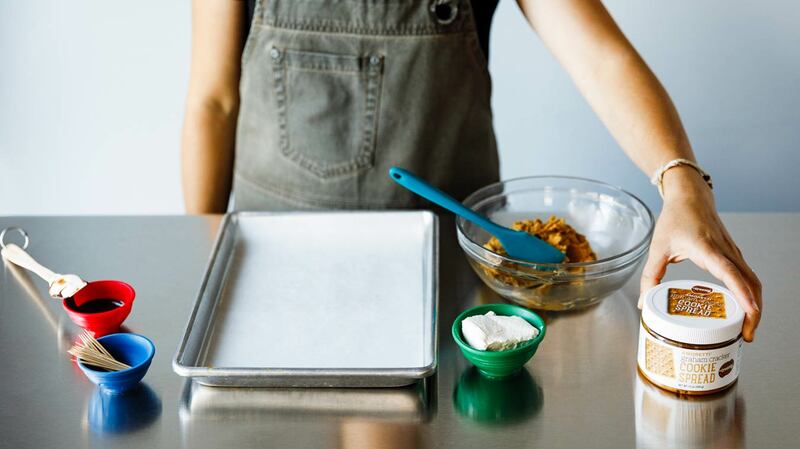 Combine Graham Cracker Cookie Spread and cream cheese, mix until smooth. Roll in teaspoon size balls and place on the lined sheet pan. 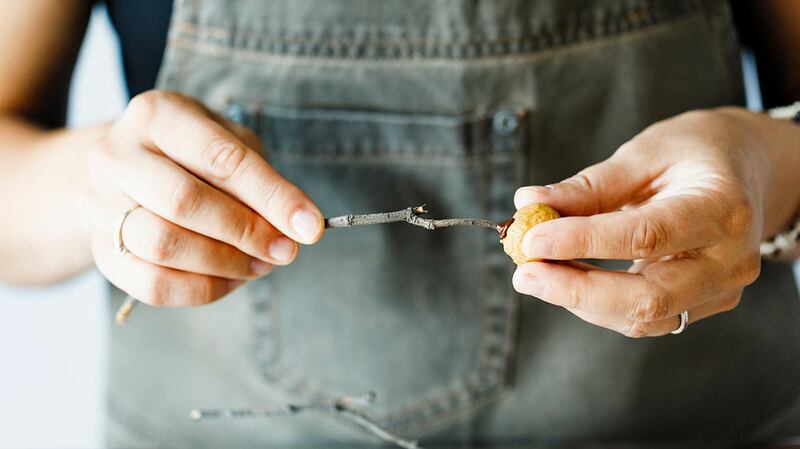 Stick a toothpick in a small amount of melted chocolate then insert one in each ball and freeze them for at least 30 minutes. Dip the graham cracker balls in the tempered chocolate and place them back in the freezer until chocolate sets. Bring an inch or two of water in a small pot to a simmer. 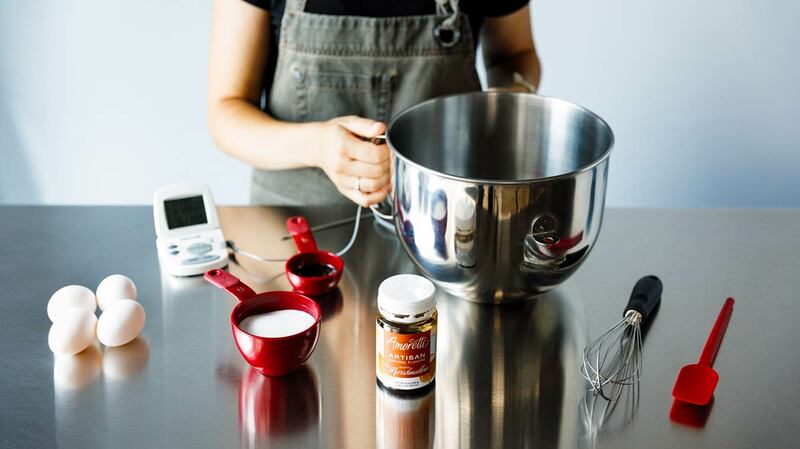 Put the egg whites and sugar in the bowl of an electric mixer. Place the bowl over the simmering water, making sure that the bowl doesn’t touch the surface of the water. Whisk the whites by hand until they reach 140° F then transfer the bowl to the mixer and whip until the whites reach soft peaks. Add Toasted Marshmallow Artisan and continue to whip until just shy of stiff peaks. 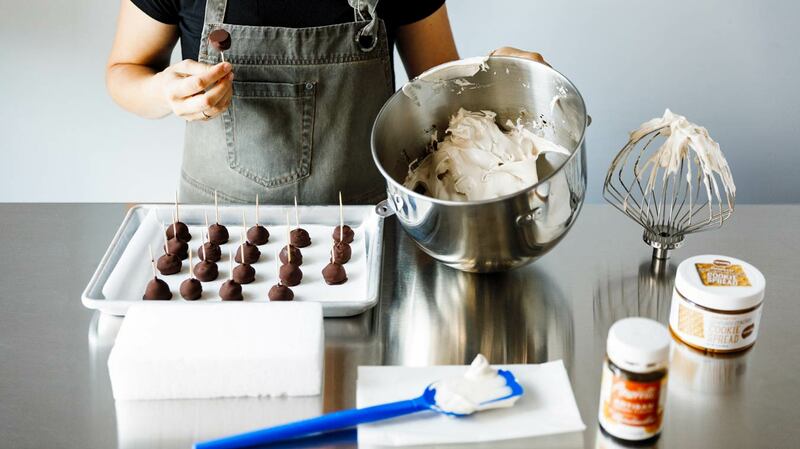 Pull the chocolate coated graham cracker filling out of the freezer and dip each one into the meringue. Spin the toothpick as you pull it out to get and even layer and give a nice spiral design. 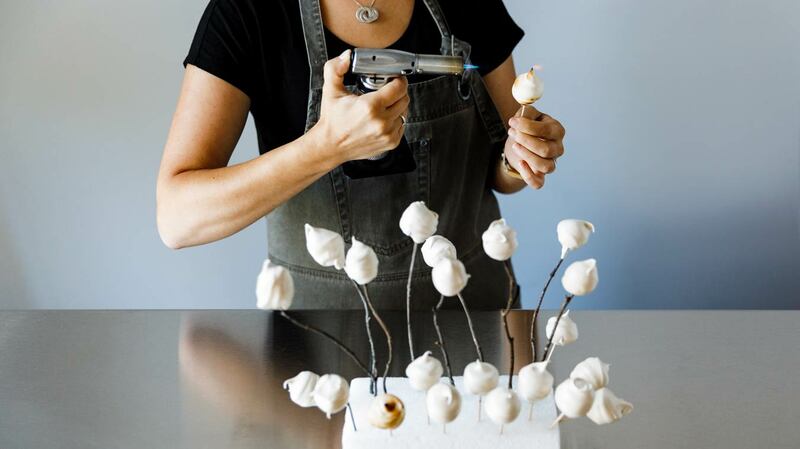 Place the toothpick into Styrofoam to keep them upright and repeat until all are coated. Torch them individually to evenly brown all sides if desired. Tempering the chocolate gives the final product a crisp snap as you bite through. 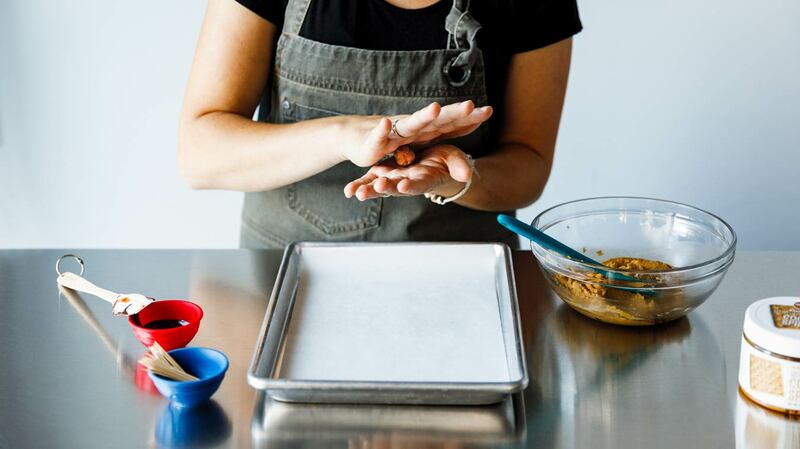 If tempering chocolate is not an option, dipping them in crushed graham crackers provides some crunch. 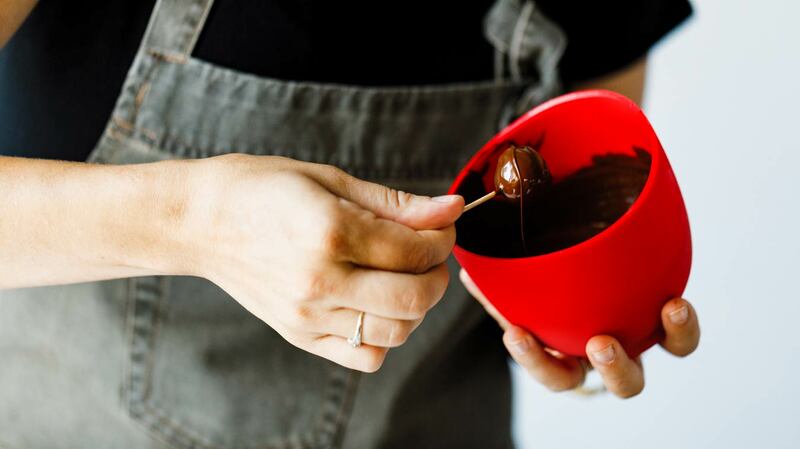 Watch our How to Temper Chocolate video to learn how to do it! It’s surprisingly easy.